College Sports - an integral part of strong state strategy development. Every young person has the right to physical education and sport, and everyone deserves to reach new heights, expand horizons, and be given new opportunities. It is within the walls of university sports complexes where elite athletes are formed! Throughout its history, USTU has managed not only to maintain but also to increase the glorious tradition of its sports. 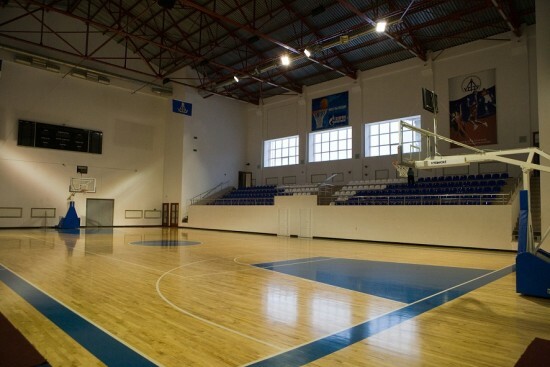 Ukhta University is the undisputed leader in the collegiate sports among educational institutions. This is confirmed by numerous victories celebrated athletes graduates and current students success. USTUathletes have been the championship winner of Russia, Europe and the world, were winners of the Olympic Games as well. Last year of 2012, became a great prologue to the Year of Sports in the Republic of Komi for USTU. It has always been a milestone event for USTU. Student world enters into an abyss of sports passion, emotion and excitement. The best coaches from Moscow, Almetyevsk, Tyumen, Ufa, Grozny and Ukhta bring their athletes who compete with each other in ten sports. More than 60 of the strongest athletes, 40 of whom are masters and alternate masters of sports, fight for the palm of leadership. And student orbit gets lit with more and more "stars"! In anticipation of sports and athletics guide alma mater prepares sports ammunition in a form of branded gifts and most worthy earns the medal. And, of course, dream of that gold remains in Ukhta, and silver and bronze medals taken away rivals. Guests are always waiting for an unforgettable program with excursions to the “North Pearl" sights, the birthplace of the first Russian oil, visit the unique USTU museum, and name auditoriums of student campus. Basketball club "Planet - University"
In May 2012, Basketball Team "Planet University" became the winner of the championship of Russia among men's teams of Major League and had probably the best gift to the fans. American Legions joined the Club. James Ellisor and David Lobo played for USTU several seasons. Female ice-hockey club "Arctic University"
Logical continuation of the popularity of the sport was the opening of the Ice Palace and the establishment of the Republic of Komi only professional women's hockey team "Arctic University", the presentation of which took place on September 3, 2012. Ukhta is an ancestor of women's hockey in Komi Republic. It was here that in 2004 there was the first amateur team - last love of Ukhta’s legendary coach, Nikolai Liu. It was his idea that ​​"Ukhta will have women's hockey" and gave impetus for the emergence of professional women's hockey team “Arctic University". A construction of the Ice Palace - the ice rink, locker rooms, gyms - resulted in a fateful decision issue. Rector Nikolai Tskhadaya and Chairman of the Board of Directors of “Arctic Morgeo", Sergei Yegorov, a former USTU student, at a special meeting decided to have a women's hockey team in Ukhta - only now they had to start from scratch. The women's team is multinational, among them the young star of the youth team of Russia, Maria Shepelinskaya. Coaching staff includes the best scorer in the history of the Kazan hockey, who holds the record for the season 1982-1983 - 91 points in 76 matches, Master of Sports, Honorary Worker of Physical Culture of Tatarstan, Sergei Stolbun. Ukhta hockey players are earning the experience in competitions the hard way: the success of these women in Russian championships is still very modest, but the skills can be acquired, and the character and the will that is needed to earn the win is there. Everything that happens in the field of sports for many students and faculty becomes an integral part of their extracurricular life at USTU. About two thousand people constantly participate in such sports activities. 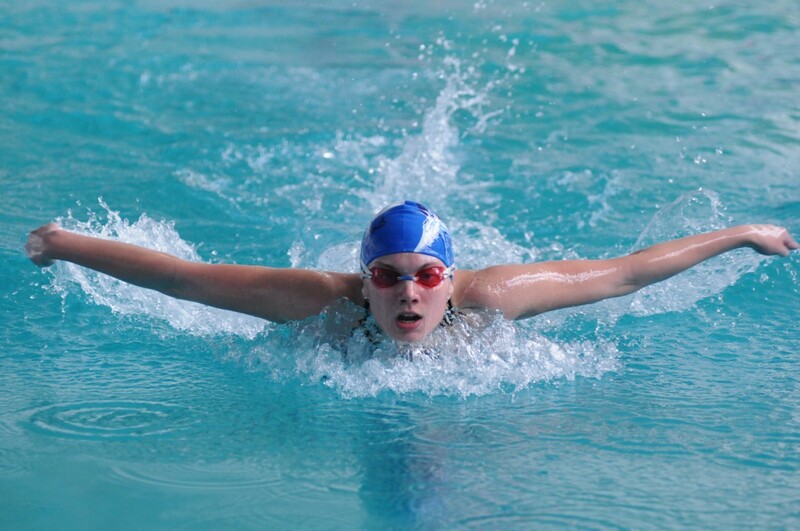 Over one thousand six hundred students compete in sport events. University prepares real professionals of sports sphere. Department of the theoretical foundations of physical culture produces specialists in physical culture and sport, capable of competently carry out teaching, coaching and administrative activity, work as organizers and trainers in health and fitness centers and physical therapy facilities. Activity of the department is aimed at the development of students' theoretical knowledge in the field of physical culture and sports as well as to promote healthy lifestyle. That department today is at a high level thanks to the merit of USTU Rector, Nikolai Tskhadaya, and his attention to the development of sport. During the lessons of a discipline, "Physical Education", students can improve in swimming, skiing, boxing, judo, basketball, volleyball, Greco-Roman wrestling, athletics, biathlon and other sports. If there are not enough classes in the regular curriculum for the students, the Department offers to join sports clubs in 42 different sports. Scientific knowledge of teaching staff has increased a lot. The department has been replenished with Doctors, Assistant Professors, two Professors, and four candidates of pedagogical sciences. Professional teaching staff: outstanding athletes, masters of sports, honorary worker of Higher Education, Honorary coach of Russia. USTU students have excellent equipped, not only according to the domestic standard but also of an international level. And all their achievements are encouraged financially. In the near future, the department plans to switch to the European compensation standards. Gyms are scheduled to open in every student dormitory; more serious attention is to be paid to the cross-country skiing. After all, skiers are the pride of the republic. Employees of the department compete not only in interuniversity competitions, but also on the city level, where they become winners time and time again. USTU leadership in sport has cultivated not only a serious attitude to it, but also the specificity of higher education. The university has two undeniable advantages over other institutions. The first is the the age composition of the team; the second, is the possibility of a scientific approach to the organization of sporting life. Department of Physical Education and theoretical foundations of Physical Education Department of USTU work very productively. Teachers not only actively involve students in sports, but also seriously engaged in research work, and participate in scientific forums. Throughout its existence USTU has raised over 100 masters of sport, including international class masters of sports! 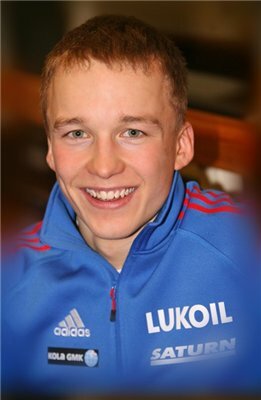 Alexander Sukhorukov (swimming) is a repeat participant of international competitions and the Olympics. His specialty in swimming is freestyle, prefers the 100 and 200 meter distamnces. Sasha defends the honor of the Russia national team. Was is a silver medalist of 2008 Beijing Olympics, a champion of Russia, Europe and the world. 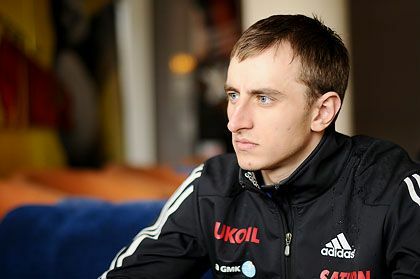 Stanislav Volzhentsev (skiing) - multiple winner of a Komi Republic Championship, bronze medalist of Russian competitions among youth medalists of Northwestern Federal District, World Championship silver medalist in ski races of Italy. Presentation of a women 's hockey team, "ArkticUniversity", took place on September 3, 2012. Along with hockey fans and organizers of the "hockey days”, Phil Esposito came to Ukhta to inspire the girls to get a victory. Phil Esposito - Canadian hockey player, center forward, a member of the ten all-stars NHL matches, winner of prizes Art RossTrofi, Heart Trophy, Lester B. Pearson Avard , the winner of the Stanley Cup and Canada Cup and many others. etc.